AirGon provides full service data processing for drone collected imagery. 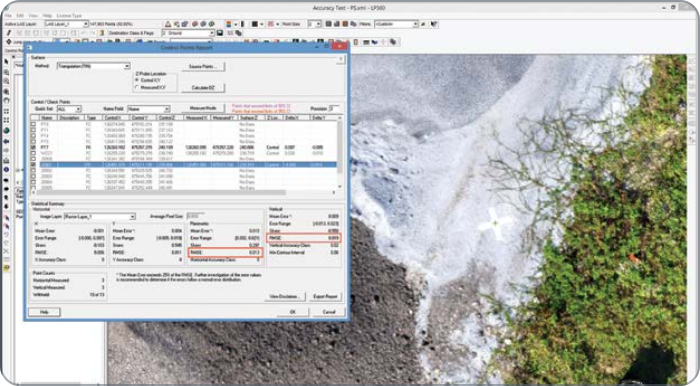 Simply upload the imagery to our FTP site and allow us to process the data to produce orthos, 3D point clouds, volumetrics, borrow pit analysis and contours. Our data processing services can be tailored to your drone mapping workflow needs whether it is end-to-end data processing or simply to fill the gaps in your current workflow. Depending on the deliverables required, the results are delivered via Reckon, our cloud-based data management portal or FTP. 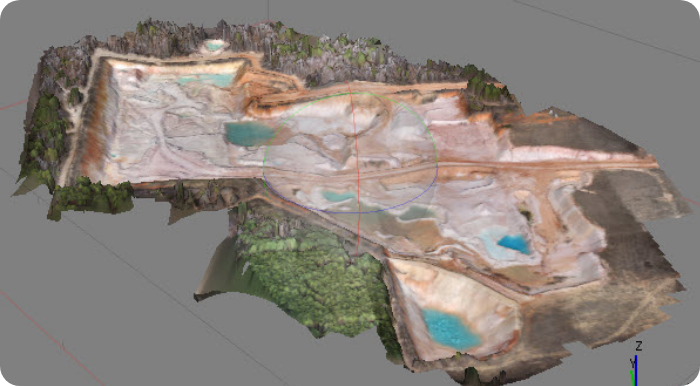 The raw images collected by an imaging drone are used in a post-processing algorithm called “Structure from Motion” (SfM) to generate a dense 3D point cloud model and an associated orthophoto mosaic. 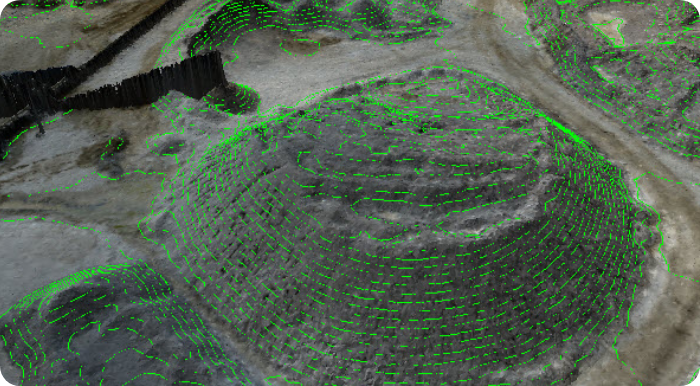 The point cloud forms the rich model that is used for all product extraction tasks (such as generating volumetrics or topographic contours). It is in the point cloud generation step that ground control and/or airborne GNSS direct geopositioning is injected to provide the accuracy needed for the project. For those customers who do not wish to create their own point clouds and ortho mosaics, AirGon’s Services Group can provide a solution. 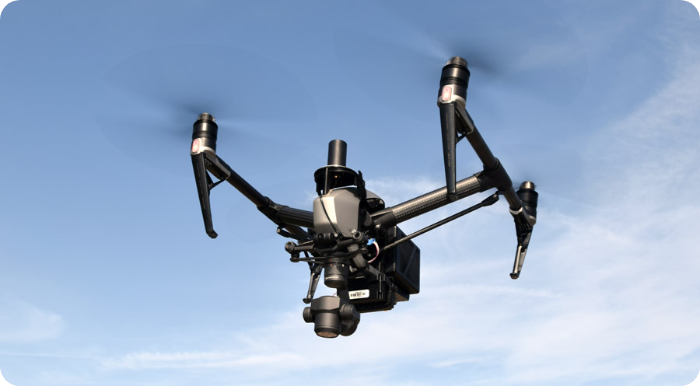 You simply upload the images from your drone and your support data (ground control locations, GNSS solutions) to our data drop location, and AirGon will perform the data generation. Numerous processing services are available from data cleaning to ground classification. The point cloud and ortho mosaic, along with an accuracy report, are returned to you via FTP. Many companies are internalizing traditional photogrammetry workflows for small area drone mapping projects. Whether you are contracting or performing the work in-house, many downstream uses of drone images, depend on data accuracy. For example, the need for 1’ contours require the vertical accuracy of the 3D point cloud have a vertical RMSE of 4” or less. AirGon services can help you ensure that the accuracy of your drone-collected data will meet your specific requirements. Contact AirGon Mapping Services for more information. 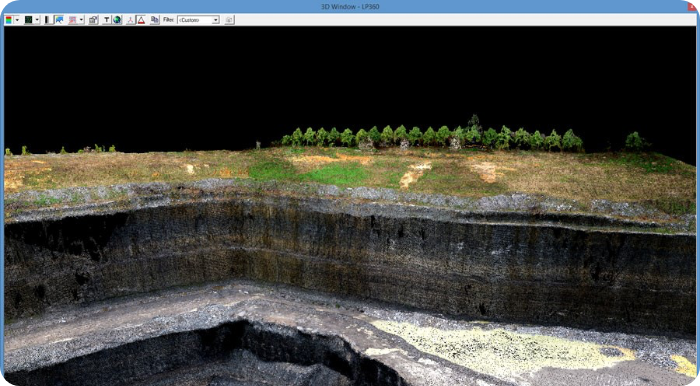 The 3D point cloud forms the rich model that is used for all product extraction tasks (such as generating volumetrics or topographic contours). As with most data, before analysis can be performed some data cleaning is required. 3D point clouds are inherently “noisy” meaning they have miscellaneous low and high points that could adversely affect both contours or volumetric calculations. There is also the issue of removing certain points from the 3D model such as overhead conveyors so that they are not included in the stockpile volume calculations. Customers that do not wish to perform these data cleaning tasks themselves can simply upload their 3D point cloud to the AirGon Services data drop location. Once the data has been cleaned and is ready for analysis, the data is simply returned via FTP. 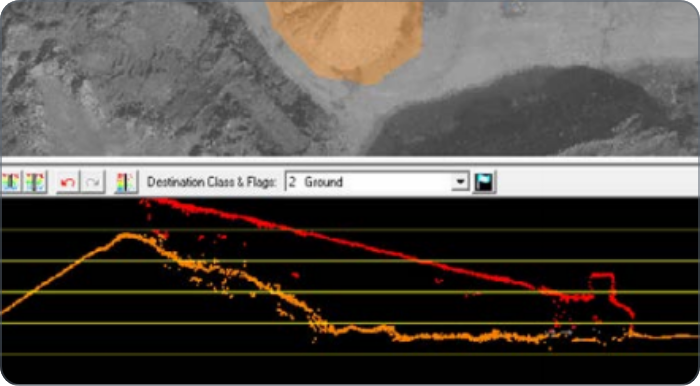 For customers that don’t wish to calculate stockpile volumes or do not have the software capable of incorporating historical base data, AirGon services can create stockpile toes and calculate volume with your drone-collected data. In addition, we deliver the results using our web-hosted data management system allowing us to provide labeled piles with material tonnages. Unlike many cloud-based stockpile volumetric workflows, we provide a complete solution that results in a downloadable excel deliverable. This is all accomplished by simply uploading your 3D point cloud and orthophoto mosaic to our data drop location and receiving the results via the AirGon Reckon portal. For customers that do not wish to clean and extract contours from their drone-collected data, they can upload their 3D point cloud, orthophoto mosaic, and control point file to our drop location. 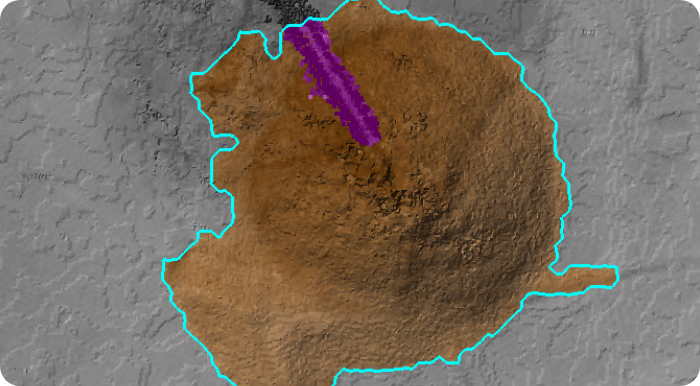 AirGon services will perform an accuracy assessment to determine if the desired contour interval is valid for the data and extract the contours. Upon completion AirGon Services will deliver the contour file (shape or .dxf) via the drop location. Even if you have in-house resources for acquiring drone imagery data there may be times that you need additional acquisition capabilities from an outside source. We have highly trained certified UAV pilots with fielded hours of experience to provide data acquisition services for just such occasions. These services are primarily limited to the southeastern United States; however, please contact us for special projects.